By Darren Stevens in Blogging. Updated on November 10, 2017 . (Personal experience of Darren Stevens) Online content theft is, unfortunately, a common incident these days. As soon as a site becomes popular, it’s only a matter of time before someone reproduces it and tries to make a buck from it. One simply needs access to a RSS feed and an Google AdSense account in order to monetize from someone else’s work, and sadly, this happens all too often. Worse, the offending sites can sometimes get higher rankings in search engines. This especially tends to happen when a new site launches and an established splog (spam blog), with some search engines’ recognition, reproduces the content as its own. The sad truth is that the stolen content will usually rank higher than the original. This happened to me when I launched my new design blog, Blogvibe.com. 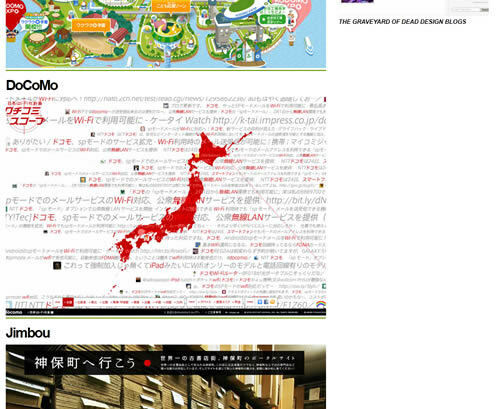 To protect my works, I decided to do what I could to get the stolen article removed. Sharing with all Hongkiat readers, here is my experience dealing with online content theft. Full post after jump. I wasn’t surprised that my blog’s content would eventually be copied, but I was surprised by who copied it. 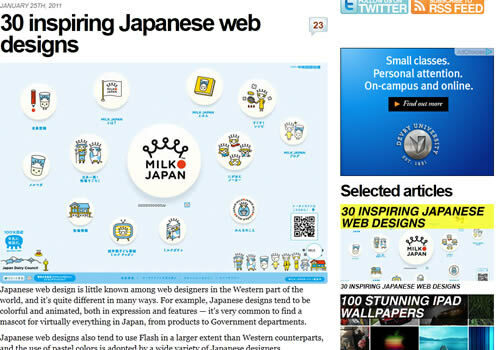 I posted an article called “30 inspirational Japanese web designs”, which was, a day later, ripped off in its entire form by a site; let’s call it "CopyKat"
This took me by surprise, as it was a site I often visited, it was linked to and featured on many popular design sites around the Web. I could barely believe that they’d rip off other people’s work, but after some research, it quickly became clear that the site copies articles from design sites all over the web. This wasn’t just an automated splog, it was a manual effort from a person to copy and slightly alter articles then reposts them. A simple Google search for my article revealed that it didn’t rank particularly high – that’s okay, it’s a young site. But the surprising part was that CopyKat’s stolen post ranked considerably higher – one of my biggest initial fears. After it became clear that CopyKat stole my article, it was to find out where it was hosted. The domain and webhost for a website can be two different entities, as was in this case. First, I did a DNS lookup which gave me a corresponding IP, which I compared to Arin.net and their IP allocation database. This revealed the hosting provider: Bluehost (the domain was hosted at GoDaddy). I prepared a DMCA takedown notice to the host. This is a Notice of Infringement as authorized in § 512(c) of the U.S. Copyright law under the (DMCA) Digital Millennium Copyright Act of 1998. The article has been unlawfully reproduced on this site (link to offending site). I (your full name), have in good faith belief that the disputed use is not authorized by the copyright owner, its agent, or the law. I (your full name), swear under penalty of perjury, that the above information in this notification is accurate and that I am the copyright owner or am authorized to act on the copyright owner’s behalf. I was surprised by the speed of both DMCAs were dealt with; both the host and advertiser replied within hours, which was a lot faster than I expected. The only one I failed to get a reply from was the owner of CopyKat, which wasn’t a surprise at all. In fact, throughout this entire ordeal, I never heard from the owner of CopyKat, despite several attempts to contact him/her regarding the theft, and a comment on the reproduced article as well. A few hours after Bluehost received the DMCA, the site was shut down. It remained down for around 24 hours, where after it was back online, only without the stolen article. At this point, everything went according to plan – the article was removed, the site was cut from the advertiser. I was satisfied. But I dug deeper. Your content will be ripped off, it shouldn’t come as a surprise to anyone, and often, it’s an automated splog that might not be worth your time. In the case of CopyKat, it appears that there is a deliberate effort to copy, steal and forge articles to appear as original, when in fact they aren’t. The site has been around for years, earning a steady income from other people’s work via BuySellAds, Google Adsense, and other ad providers. My experience with this case has taught me that it’s not that hard nor time consuming to file a DMCA complaint, to figure out who hosts the site, and whom to contact. And in every case, I got response from the involved parties (except the site owner) within 24 hours. Sadly however, the site is still up. And judging from its recent post, it’s still ripping off design blogs. If you own a design site, I highly suggest you to simply Googling for your article, dig around a bit, and see if anything comes up with a similar title. 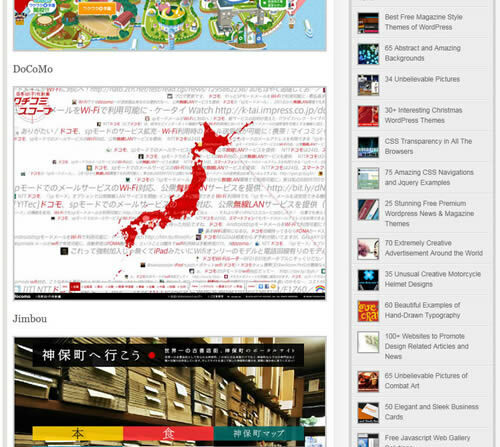 Then inspect the posts, compare the images (and image names) to your article, and see if there’s a match. You’ll be surprised. And remember: filing a DMCA complaint is simpler and easier than it seems.